[Spring quality] It is a weak alkali simple hot spring 45 °. A Founded or started to use this hot spring goes back to the Asa Nara era, and is described in the Nihon shoki as "the warm water between bunches. "It is a historied noted spring to become the Matsumoto Castle Lord's palace hot spring after that etc. 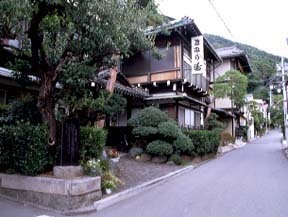 The hot spring resort chosen as the 100th elections of the Matsumoto-shi scene. Recreation after gastroenteropathy, neuralgia, high blood pressure, and the illness, etc.